Chris “The Real Deal” Cormier is the 10th year winner of the Iron Man crown. This year’s Iron Man event was the biggest ever with 28 competitors. Key comparisons and the posing routines of all competitors are shown. Chris seemed to be building some real momentum at this event and looked very likely to do it all again in 2000. 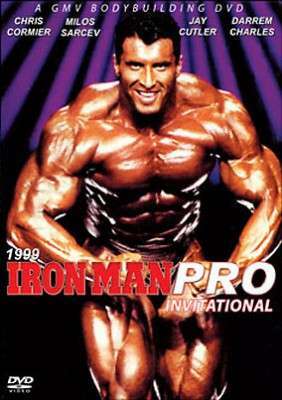 Click here for our COMPLETE LIST OF ALL IRON MAN PRO DVDs.